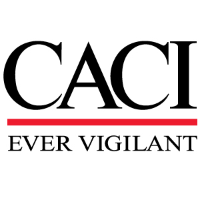 CACI is seeking a Logistics Analyst I to support our G4 Program in Ft. Belvoir, Ft. Meade and Kuwait. As a Logistic Analyst I you will provide management, customers, and sub-contractors with basic logistics technology and information that ensures effective and economical support for products, service, equipment and systems. Participates in the day-to-day provisioning, spares, or maintenance/repair activities for one or more programs. Prepares requisition documents and forwards to applicable sources. Maintains the document register, assigns document numbers, and records the status and demand for material. Monitors the status of requisitions in the document register. Provides status to customers and maintains a register of cancelled requisitions. Conducts a monthly reconciliation of the document register and determines appropriate courses of action. Maintain stock control levels and reorders parts. Requisitions, receives, stores, issues, segregates, cares, preserves, inspect, and accurately inventories equipment and repair parts. Processes repairable/turn-in items. Maintain accountability of equipment and equipment/supply stockage. Participates in the conduct of routine market surveys. Supports US Army systems on site whenever and wherever deployed. Establish and maintain stock records and other documents such as inventory, material control, accounting and supply reports. Review and verify quantities received against bills of contracts, purchase requests and shipping documents. Unload, unpack, count, segregate, palletize and store incoming supplies and equipment. Construct bins, shelving and other storage aids. Simplify and standardize the collection and use of maintenance data. Raise the quality and accuracy of performance, cost and parts data through improved maintenance management. Assist with the deployment and redeployment of personnel and equipment. Associates Degree in Logistics or Business Administration from an accredited university/college with four years of experience in military logistics; or Military equivalent training in Logistics and six years of experience. Global Combat Support System-Army (GCSS-A) experience. Experience in the operation of office equipment such as word processors, secure telephones, and copiers. The ability to use existing logistics database programs to collect maintenance, supply, and logistics information for reports and briefings. Knowledge of the Federal Supply System. Knowledge of packing and shipping requirements.Fluent in the English language including the ability to read, write, and comprehend relevant logistics documentation. Basic knowledge in operating MS-Office Suite including Word, Excel, Power Point. Knowledge of basic military logistics, supply and maintenance shop operations. US Citizenship, Top Secret (TS) security clearance with Single Scope Background Investigation (SSBI) with eligibility for Sensitive Compartmentalized Information (SCI) indoctrination.